The Titan LTE Powerchair is both compact and lightweight and splits into 4 sections making it easily transportable. It has a maximum speed of 4mph and a maximum range of 8 miles. 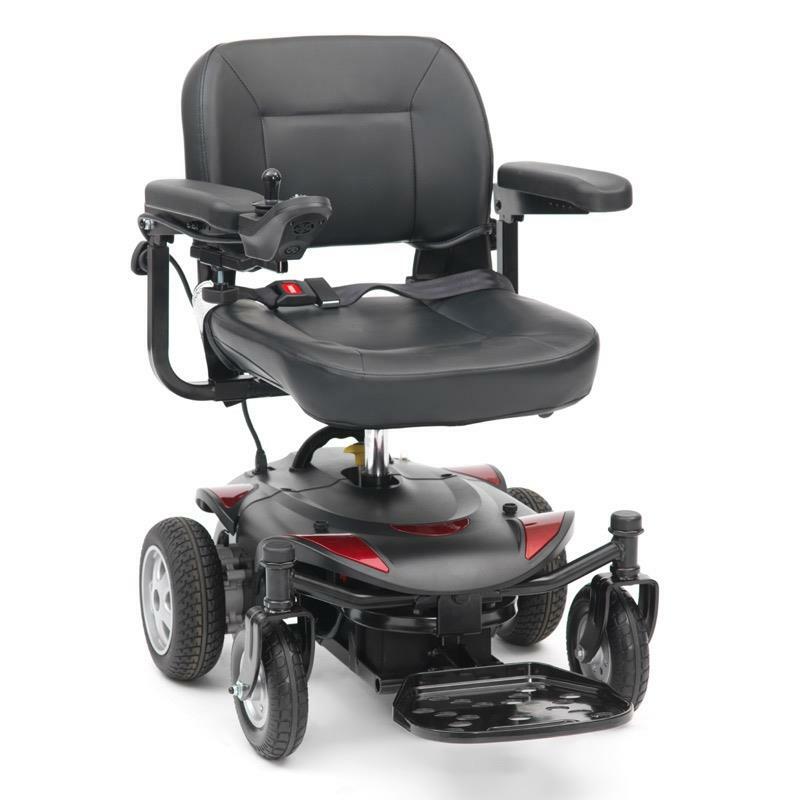 Features include a user friendly programmable controller and height adjustable swivel seat. Available in metallic red and blue. The Titan LTE is lightweight and compact as well as being easily transportable. It is great in tight spaces and busy environments and splits into 4 sections for easy handling and storage. With a maximum speed of 4mph and a range of 8 miles on a full battery charge the Titan is the perfect compact powerchair for both indoor and outdoor use. It has many features including detachable and width adjustable armrests, height adjustable seat, easy to use controller system and padded upholstery for extra comfort and support. Available in two colours - Metallic Blue or Metallic Red.